Seth Holdren, REALTOR®. Sell Smart. Buy Smart. We’ll make the process as easy and fun as possible. Are you looking for a REALTOR who understands technology, listens to how you prefer to communicate, and brings innovative, high octane marketing industry experience to your doorstep? Maybe we should have a conversation. Do you prefer to text? We love that. Do you like email? You’ve got it. Are you an “over the phone” person? Call us, we’re available. Like to get together? Let’s meet up. No matter how you love to communicate, we’ll match your style and preference with a smile. Planning to Sell Your Home? 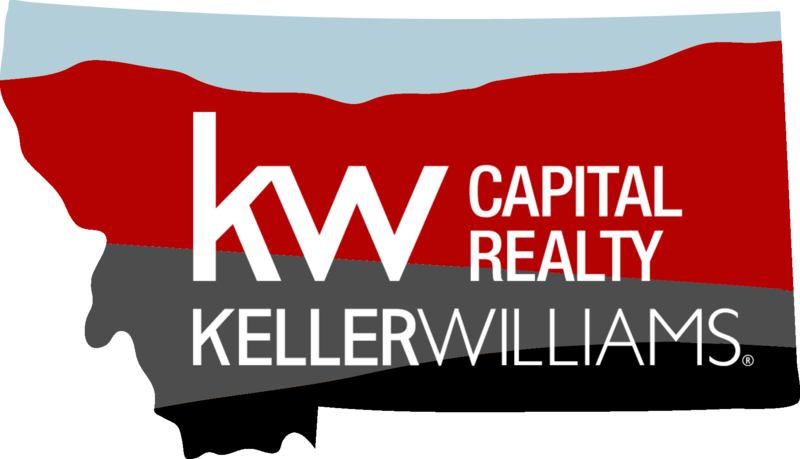 Join the millions of highly satisfied homeowners who have trusted Keller Williams real estate agents to sell their home. Here are a few questions to consider in choosing an agent in Helena, MT. 1. Do you like working with happy, competent people? 2. Do you like the feeling of being supported by a world-class team? 3. Do you prefer a first-class experience in a world of sub-par choices? If you answered yes to any of these, then when you choose, I recommend choosing Keller Williams. Whether you choose myself or one of the other wonderful agents on the Helena Keller Williams team, I believe you would be making a wise and profitable choice. Never pay more than you should. Never net less than you should. We’ll negotiate on your behalf, bringing you win-win deals when it counts. Search for properties in the Helena, MT area. Helena Real Estate Agent – What Makes a Good Realtor? A realtor or real estate agent will have a powerful impact as you buy or sell a home. Find out what makes a good realtor and how to find the best one for you. Realtor talking to a young family. When it comes to buying and selling a home, 88 percent of buyers and 90 percent of sellers choose to use a realtor to represent them in the transaction. Not only does a realtor help to make the process significantly less stressful, a realtor also helps to save buyers and sellers money. For buyers, this may be by ensuring that the buyer pays a fair price for their home. For sellers, this may be by preparing and marketing their home to sell for the best price possible. While there is certainly no shortage of realtors lining up to serve buyers and sellers, it’s important to note that not all realtors are created equal. In order to ensure that you have the most positive experience with your realtor possible, you’re going to want to be sure that they check all the boxes. If you’re thinking of buying or selling soon, you’re going to want to read this. We’re outlining a guide to what makes a good realtor. First and foremost, it’s essential to work alongside a realtor that you can envision spending a good amount of time with. Sure, the relationship may be purely business. But, the entire process of buying and selling is significantly more enjoyable when you can actually look forward to showings and meetings with your realtor. Let’s be honest, buying and selling is a stressful process. In fact, it’s often regarded as one of the most stressful events throughout one’s life. Having a realtor that you get along with and enjoy spending time with is sure to help reduce this stress. Who knows, with the right realtor you might even find the process enjoyable! When it comes to choosing a realtor, be sure to consider a realtor who is local to the area where you are buying or selling. Yes, this means that your friend-of-a-friend who lives two cities over just might not be the right person for that job. Instead, invest your trust in someone who is an expert when it comes to the city, town, or even neighborhood where you are looking to buy or sell. Ensuring that your realtor is up-to-date with all of the past sales, current sales, and market statistics in your area is non-negotiable. Having a realtor who is proactive is the best way to ensure you are staying on top of the market. Without a well organized and proactive agent, it’s likely that buyers will miss out on new properties hitting the market. This is especially the case for large cities in which new listings are becoming available hourly. Because the market is ever-changing, it’s essential to have an agent who is proactive in keeping up with these changes and able to roll with the punches. When it comes to purchasing or selling your home, it’s essential to have a realtor you know you will be able to trust and have confidence in. In a recent survey, buyers stated that having a realtor that is honest and trustworthy is the most important characteristic for a realtor to have. Remember, this person is representing you in one of the biggest investments of your life. Not only will your realtor be responsible for handling large-scale checks and holding keys, they are also your source of information for all financial decisions. In today’s world, technology is a key player in the real estate game. There’s no denying that we now live in a digital world, and the process of buying or selling your home is no exception. In order to keep up with the ever-changing market, it’s always helpful for realtors to be technologically savvy. After all, laptops, tablets, and smartphones have now become crucial to the buying and selling process. In fact, 44 percent of buyers searched for properties online as the first step in their home buying process. This is even before contacting a realtor to represent them. Technologically savvy realtors are also beneficial to sellers in the sale of their home. These skills come in handy when it comes to the digital marketing of the property as well as producing high quality, modern photography and videography of the property. These are all features that are going to produce a higher selling price for your home. Buying and selling a home is not always an easy ride. To help ensure that you are successful in your purchase or sale, you need a realtor who is one hundred percent dedicated to their role. This means alerting you about each and every listing that may be of interest to you, exemplifying patience with the process, and doing everything they can to make the process easy on you. In your search for a realtor, you want to find someone who is truly dedicated to finding you the best home to suit your needs. For sellers, you want to find a realtor who is dedicated to getting you the best price possible on the sale of your home as well as minimizing the stress and risk along the way. The best realtor is one who is an expert communicator. When trying to buy or sell a home, communication is easily one of the most significant factors between a client and their realtor. Not only does this realtor have to possess excellent communication skills, they also must understand how their clients like to communicate. For example, some clients may prefer to text or email as their main method of communication. Whereas some clients may prefer to chat on the phone or even meet in person to discuss important details. The fact is, a good realtor is able to communicate in whichever way is most preferred by their clients. Are You Researching What Makes a Good Realtor? Buying a home is likely the biggest investment that one will ever make in their lifetime. If you find yourself in the process of hiring a realtor, you’re likely asking yourself: what makes a good realtor? For buyers, a good realtor will help to navigate the market and ensure that you pay a fair price for your dream home. For sellers, a good realtor can make certain that you are getting the best price possible with the sale of your home. While this may seem straightforward, it takes the right realtor to be certain these jobs are being performed as well as possible. From possessing excellent communication skills and local knowledge to being proactive and technologically savvy, these skills are a non-negotiate for the right realtor. To learn more about real estate and how a realtor can make your life easier, be sure to visit our website. Here we discuss the different phases of the real estate cycle. Read more to learn how anticipating the housing market can help you buy or sell a home faster. Home sale statisticians report over 5 million homes sold in the U.S. in 2017. Predictions hold steady for the same or higher numbers for 2018 and 2019. Are you thinking about investing in real estate? Real estate, like the stock market and economy, runs in cycles. Knowing the real estate cycle helps with better decision making when it comes to buying and selling properties. Read on to learn more about anticipating the housing market so you can buy and sell your home faster. Real estate cycles mirror the broader economy and move in a wave-like pattern. The pattern breaks down into four quadrants. These quadrants are Recovery, Upswing and Expansion, Oversupply and Rising Vacancies, and Recession. In economic terms, the four stages are Expansion, Peak, Contraction, and Trough. Understand the stages and recognize indicators for change. This helps you make good real estate investment decisions. Knowing and understanding the real estate cycle helps you prepare for the inevitable downturns. With a diversified portfolio, you’ll ride the economic tides from a stable position. Recovery is the first stage of the real estate cycle. This phase falls at the bottom of the trough. Real estate occupancy is low in this stage. Demand for space is also low. There’s not a lot of construction happening in this phase. Rental rates are stagnant and below the inflation rate. It’s hard to see the recovery phase at its beginning. The market still seems recessionary. As the Recovery cycle progresses, demand increases. Companies build new factories and hire more people. The government usually lowers interest rates which drive increased investment. Knowing the indicators of Recovery helps you move on short-lived opportunities. These include investing in properties in a distressed condition. Repaired and upgraded properties demand good prices in the Upswing and Expansion cycle. During the expansion phase, rents rise as occupancy rates improve. Demand for space grows. When rents get tight, new construction begins. The economy expands and job growth is good. It takes between five and seven years for new construction to add inventory to the rental market. This means rents rise faster and faster. It’s not uncommon for investors to overpay for land in this stage. This happens based on anticipated rent growth. As expansion continues, supply and demand reach an equal balance. The Upswing and Expansion cycle is a great time to develop properties. Demand for space means rental rates for property are higher. Tenant retention is also good in this phase. There aren’t as many opportunities for investing in distressed housing at this point. But sometimes you’ll find a good deal. When construction continues at high speed, expansion becomes excessive. Oversupply is due to over-construction. It’s also due to a pullback in demand based on economic factors. Vacancies rise which sometimes causes declining levels of rent growth. When an increase in unsold properties begins, this indicates market troubles. Developers should stop building at this point, but they almost never do. The Oversupply cycle sees some investors selling assets ahead of a perceived coming decline in values. Some investors panic and sell at lower prices; other investors get a bargain on solid assets. Recessions are characterized by high unemployment, decreased company investment, and decreased consumption. When real estate supply outweighs demand, higher vacancies result. During a recession, rent growth is at levels lower than the inflation rate. Sometimes rent levels are negative. Property managers and owners may offer perks to keep tenants. These include things such as rent reduction. The government fights inflation by increasing interest rates. Thus rising interest rates are also a sign of trouble. Higher interest rates stop developers from overbuilding due to borrowing costs. That’s a good thing. But projects already in process spell trouble for investors. The Recession cycle is a great time to buy distressed properties at deep discounts. After the Recovery cycle begins, the properties are sold in the early Upswing and Expansion phase. A good agent identifies properties that will perform well in the recession phase. The four real estate cycles are regular throughout history. The rhythm runs in steady 18-year cycles. There were two exceptions to the cycle. The first exception was during World War II. The second exception was due to government intervention in 1979. The Federal Reserve doubled the interest rates at that time. The 2008 economic crisis took some by surprise. But it was predictable to those who understood economic cycles. Understand the real estate cycles and take advantage of them. Throughout history, property has been a good investment. Even when times are bad, property investments have a habit of increasing in value. Appreciation is sometimes slow. But as an overall investment, the rate of return is a net positive. Cycles vary in duration. A recovery phase is sometimes short while the recession phase is long. The phases differ and aren’t always predictable. The cycles are the same throughout the economy. But there are variances based on geography and asset classes. Large urban office assets may experience oversupply while suburban offices experience recovery. A professional real estate agent is an invaluable asset for understanding geographical implications. Get your agent’s input and knowledge of the location before making a buying decision. It’s important to diversify across markets. This balances the highs and lows in different markets within your portfolio. Real estate investments offer some of the greatest opportunity for monetary returns. It’s important to understand the real estate cycle. Then you can strategize based on the current cycle. A good real estate agent knows the cycles and recognizes the indicators of trouble. Even in the dreaded Recession cycle, there are opportunities for good investments. Be informed, not afraid. Solid property assets are a great way to diversify your portfolio and improve your income stream. Are you ready to invest in property? Don’t delay. Contact an informed real estate agent now. Helena is a city I’ve fallen in love with. Here are some of the things I love most about the Queen City of the Rockies. On date nights, my wife and I love to walk to Ten Mile Creek Brewery. If we’re feeling ambitious, we might go two more blocks and stop at Blackfoot River Brewing. On slower nights, we’ll walk to the Hawthorn wine bar, have a glass of wine and maybe snack on some delicious chips and dip. We have a young kiddo, so there’s a ton of stroller action going on in our lifestyle. Helena is a wonderful city for raising children. There are so many parks in all directions, and they are rarely crowded. Let’s talk about how friendly the people are in Helena. There’s a saying that “people are people, no matter where you go”. And that might very well be true, generally speaking. In Helena, people are definitely people, in the way the author of that quote means. But there’s something a little different going on in Helena. There is culture here. It’s not just a small town with nothing going on. There are a lot of very interesting people in Helena. And yet, the friendliness levels are off the charts. I can’t really explain why, I simply have found it to be true. Helena-folk are generally friendly, kind, helpful, welcoming, and happy to be talking to you. If you’ve experienced the opposite in other cities, then you’ll know exactly what I mean when you take a walk around Helena. Now, let’s talk outdoor activities. In Helena, there are hiking and biking trails everywhere. I am constantly surprised at the dense concentration of high-end mountain bikes I see out and about. Maybe there are just as many $2500+ bikes in other cities, but the difference here is that people actually ride them. All year round. Helena also has a wonderful community of service businesses who help Helenans live smoother, happier lives. The Wellness Studio is a Helena chiropractor located on Last Chance Gulch who specializes in enhancing their clients lives through optimal health. Custom West Pest Control is a reputable exterminator in Helena. They are property problem solvers, and do residential and commercial pest management, wildlife control, and pest exclusion. Rocky Mountain Power is a Helena electrician and offers full-service electrical contracting, LED upgrades, maintenance contracts, residential wiring, and service calls. Now let’s talk dining options. Helena has some very unique dining options available. My wife and I love to eat dinner at On Broadway. It’s an amazing place to sit down, have a look around, and sip on a refreshing beverage. For lunch, I love to grab a burrito at La Pa or Taco del Sol. The sandwiches at Lattes and Sundaes are amazing. Right around the corner of my office is Bad Betty’s BBQ, and I go there often. I also like to grab a sandwich at Cafe Zydeco, which is also near where I work. My breakfast haunts are as follows: Steve’s Cafe, Hub Coffee, No Sweat Cafe, and sometimes when I feel like driving I enjoy the chicken fried steak at The Grub Stake. I want to share so much more with you about this beautiful town I’ve grown to love. Keep your eyes peeled for new posts and updates here on the HelenaRE.com blog. Do you want to sell your home as quickly as possible? If so, click here for 10 must-know home staging tips that are sure to improve the look of your house. We know you love your Helena house, but just like all things your time there has come to an end. When your looking to sell your house home staging can make the difference between selling fast vs. your house sitting on the market. Home staging doesn’t always take a lot – sometimes your only a few steps away from your house looking its best. If your house looks welcoming and you put time into it buyers are going to be more willing to pay what it’s worth. How a potential buy feels when first pulling up to your house can greatly change their perception of your home. It’s because of this you want to make sure your yard is in good repair and your front entrance is welcoming. You can accomplish this by simply cleaning the dirt or dust off of your walkway and add a couple of potted plants. You want to make sure that the plants aren’t dying and that they look nice. Bonus points if they are colorful and smell nice. Part of making sure the outside of your home is appealing is removing the seasonal decorations – especially if it’s not the current season. If potential buyers pull up to your home and see Christmas lights in June they are going to assume you have neglected the house. This continues with that same idea – if your house is dirty then the buyers are going to be instantly put off. If you don’t take the time to clean how can they be sure that that you took the time to do the regular maintenance? We know that this is probably not the case and you do care for your home, but first impressions are all they can see. With that being said – clean everything. Baseboards, where the corners meet on the ceiling, kitchen counters – think of spring cleaning on steroids. If you don’t have the patience or the time, hiring a professional cleaning company can make this step a breeze. Not all the rooms in your house need staging. There are a few that most professionals agree should definitely be staged. The living room, kitchen and master bedroom are where your focus should be. These are the rooms that most buyers really care about – these rooms are where people to picture their lives happening. When you’re selling your home every room needs TLC, but spend a little bit of extra love and time in the big three. Part of making your house a home is putting up pictures and things that represent you and your family. However, when you’re selling your house you want to leave a potential buyer room to picture their family in that space. This means putting away family photos and taking the report cards off the fridge. This might make the rooms look a little too blank if that’s the case you can put up natural art pieces and mirrors in prominent places in the house. It’s a delicate balance – you want a home charm without your personal touch. Keep your clothes and toiletries such as toothbrushes, makeup and contact solution out of sight. This is one of the easiest tricks to home staging – let as much light in as you can. Dark rooms tend to make people feel sad and that’s the opposite feeling you want the buyers to have while they’re looking at your home. Open your windows and your blinds – unless your yard needs work. If your yard needs more upkeep then you can keep your blinds down and open the slats, that way the light still comes in and it keeps the attention off of your yard. When you know you’re going to have a showing, turn on all of the lights in your house. Even in the bathrooms and closets – this makes the house look bigger and keeps the buyers from having to fumble around to find your lights. his is a simple thing that can drastically change your kitchen and bathroom. Make sure to use tiles or paints that are natural and modern. Anything that’s outdated can turn an interested buyer off. ou might absolutely love bright colors on your walls – but not everyone does. So when you are staging your home it’s always best to make sure the walls are natural colors. This step might take some time and money but it will make a big difference when it comes to selling your home. If you use greys, whites, and toupes it leaves the buyers a blank canvas so they can easily picture their furniture in the space. It also leaves them room to add the colors that they would like to decorate with. Most people think of the kitchen as the center of the home. That’s where the meals are made and where the family gathers. It’s arguably one of the most important rooms – which means it’s very important when it comes to home staging. A lot of professionals even suggest baking cookies or brownies before an open house. You can do a simple grouping of three things that match to make the kitchen more appealing to the eye. This is called vignette, it can be as simple as three matching hand towels or salt and pepper shakers on your stove. We know you love your home, it holds a lot of memories and special moments for you and your family. However, home staging is a way for you to make your home more appealing to the buyers. You want them to be able to picture a happy life there – just like you had. If your unsure about how you staged your house, or just want another pair of eyes we can help. It’s decision time. If you’re ready to make your move, we’re confident we can help you sell your home, buy your next home, or invest in real estate. Call or text us at (406) 437-3503.